The funeral mass at the parish church of St. Ailbe in Ballybricken, southwest Ireland, opened with a recording of "Ave Maria," sung by O'Riordan and Luciano Pavarotti. Items associated with the singer, including a guitar and a platinum disc, were laid at the altar. 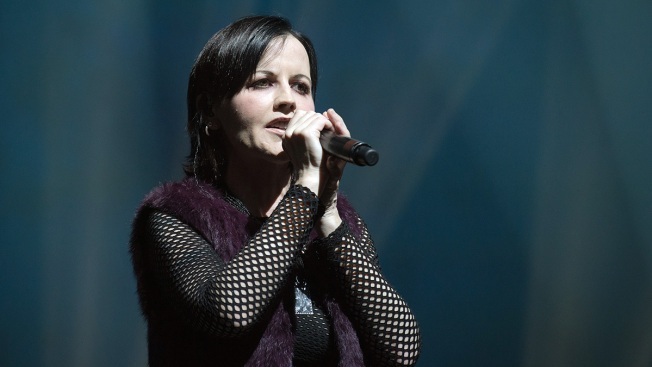 Hundreds of mourners gathered in Dolores O'Riordan's Irish hometown Tuesday for the funeral of the Cranberries singer, who died last week at the age of 46. Canon Liam McNamara said "no words are adequate to describe Dolores or to accurately state the influence for good she has been over the years." "Now she is singing in the heavenly choir — hymns of petition for us," he said. Mourners included O'Riordan's bandmates, her ex-husband Don Burton and their three children, and the singer's mother and siblings. O'Riordan was found dead in a London hotel room on Jan. 16. A coroner is awaiting test results to determine the cause of death. The Cranberries formed in Limerick, Ireland at the end of the 1980s and had international hits with songs including "Dream," ''Linger" and "Zombie." Kieran O'Reilly, the archbishop of Cashel and Emly, told mourners that O'Riordan's voice was "unique, far reaching and distinctly Irish." Mourners broke into applause as the singer's coffin was carried out of the church to the strains of The Cranberries' song "When You Are Gone."